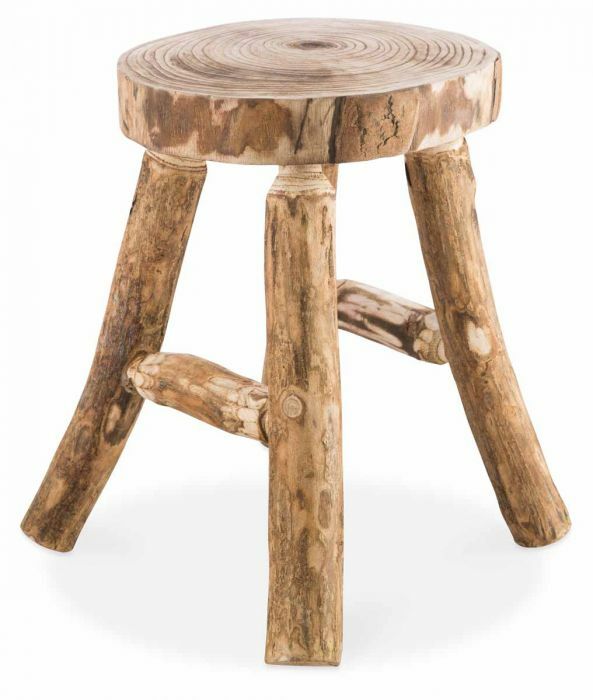 Bring the authentic feel of nature to your living space with this 4-Leg Paulownia Wood Stool. 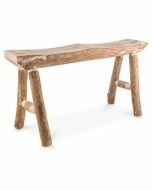 The durable paulownia wood has a light natural tone and raw grain that add a rustic touch to any room. 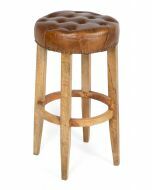 The round seat resembles a slice of tree trunk, showing a pattern of age rings, while the four branch-style legs have a rough, textured appearance for a natural, raw look. 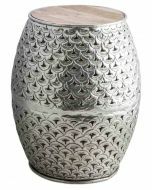 Use the wood stool to display an eye-catching vase or statue in contrasting materials and colours, or set it as a standalone piece next to a chair or sofa in your sunroom or patio for handy added surface space. 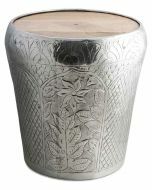 It also makes a great accent piece to add warm, earthy character to an empty corner or nook. 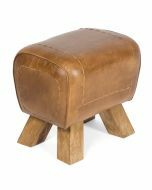 The stylish wood stool measures 33 cms (L) X 33 cms (W) X 43 cms (H).